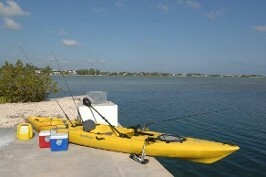 Kayaks - Premium Rigged and Ready-for-Fishing! Whether your looking to do some serious fishing or just explore the mangroves, Pro Gear Boat Rentals has you covered with some of the best Kayaks and Fishing Kayaks for rent in the Florida Keys and Key West. 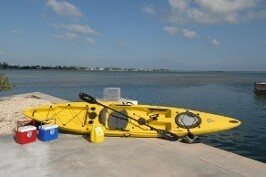 All our Kayaks are outfitted with all the equipment you'll need to enjoy your time on the water. We service Marathon, Big Pine Key, Little Torch Key, Ramrod Key, Summerland Key, Cudjoe Key, Sugarloaf Key, Key west and all the way out to the DRY TORTUGAS. Planning a trip to the DRY TORTUGAS? We provide Free Delivery and Pick-up at the Ferry Terminal and all the required gear.